GATE Computer Science Cutoff (CS) 2019: Once the conducting authority release GATE Result after that GATE cut off will be released. GATE (Graduate Aptitude Test in Engineering) is organized by the one of the IITs from seven IITs on the rotational basis. The national level entrance exam is organised for admission in (Post Graduate Programs) M.Tech/M.E/P.hd programs by various IITs. 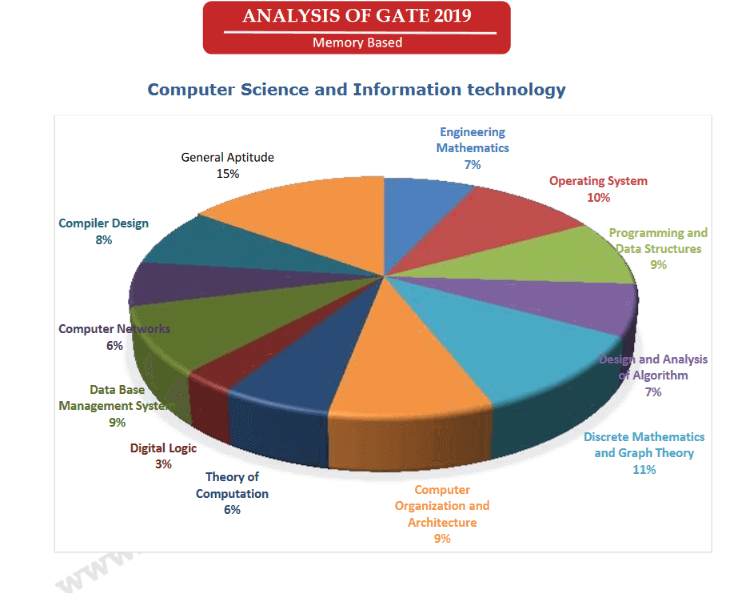 IIT Madras is the conducting authority for GATE 2019. In this articlr you will get complete information about GATE cut off 2019, past year trends and cut off analysis. GATE Result has been released on 15th March 2019, Check GATE Result. Cut off is the minimum marks required to qualify for GATE 2019 Examination which is decided by the the conducting authority as per the various factors, that are number of students appear for the GATE Examination, seats applied, marks obtained by the candidates in the examination, difficulty level of the examination and total number of seats available in the selected colleges. Candidates got admission in IIT Kanpur by Written test and Interview conducted by IIT Kanpur, after the written test and Interview IIT Kanpur will release the Cutoff for direct admission in M.tech.